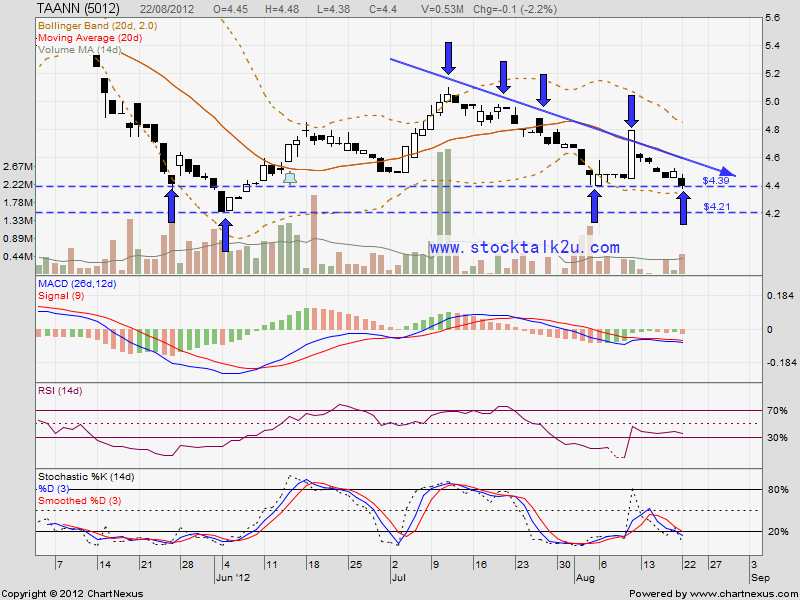 TAANN seem like retest RM4.39 support. Stochastic %K NO trigger BUY call. Immediate resistance, upper line of descending triangle. 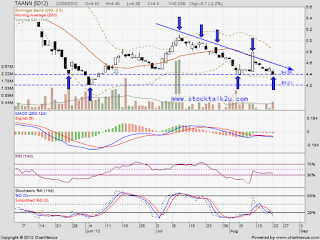 If the bear strong enough, it might break through, next support RM4.21 level. Else, it might rebound & break descending resistance.